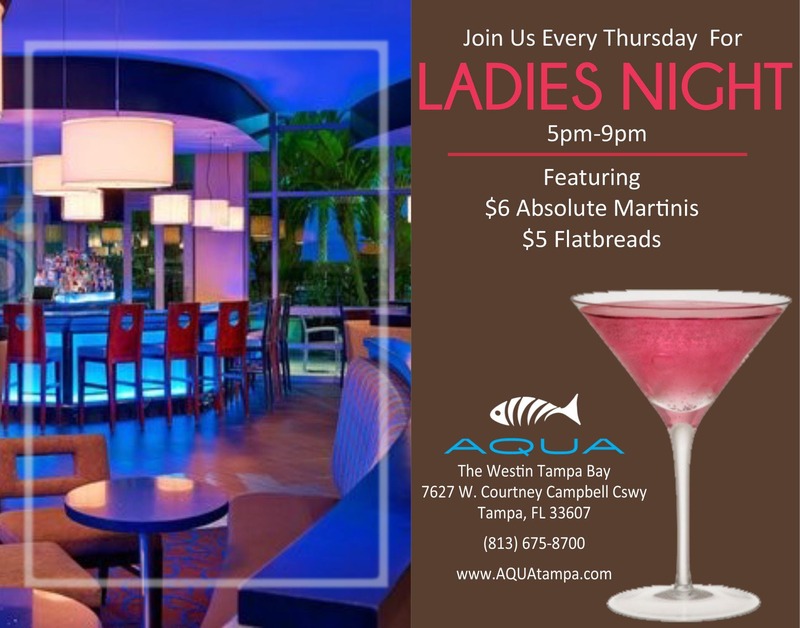 Join Us Every Thhursday for Ladies Night! Featuring $6 Absolut Martinis and $5 Flatbreads. Located on the bay, AQUA boasts spectacular views in a contemporary dining environment.